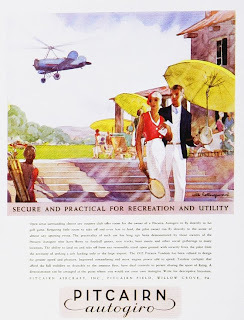 Here is another cross topic posting from Vintage Ads. 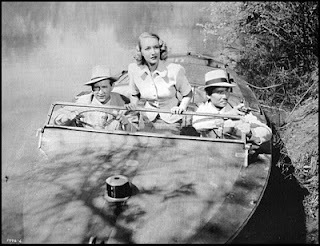 In this piece, movie star Ginger Rogers is touting the advantages of her new 1939 DeSoto, including the "Sofa-Wide" seats. I suppose there would be more room with no seat belts. This morning's Sunrise Serenade was "Tiger Rag" by Valaida Snow. Click on the song title to listen courtesy of Jazz On Line. In this episode, the Man of Steel must save a beautiful blond female secret agent from a band of (presumably) Nazi saboteurs. From the Internet Archive, here is the 1943 short, Secret Agent. The playlist for the February 23, 2011 broadcast of the Swing Shift Shuffle has just been added to the playlist filing cabinet. And it got me. I'll be on sick leave for a few days. Today's Sunrise Serenade was "The Man I Love" by the Benny Goodman Quartet. Click on the song title to listen courtesy of Jazz On Line. If you get popular enough, you have to have a highlights reel. A reporter interviews Max Fleischer, who brings Betty to life, and they proceed to revisit her past adventures. Give the writers a break once in a while. 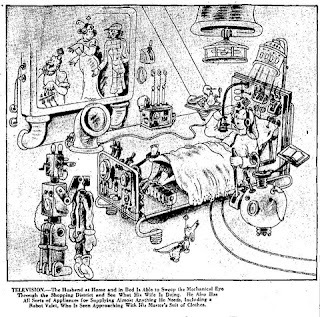 From the Internet Archive, here is Betty Boop's Rise To Fame. 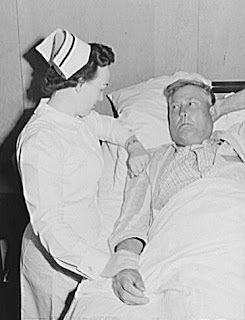 Proving, once again, that the Golden Age Comic Book Stories blog does more than its name implies, here is a posting of publicity shots from the World War II era serial, Secret Agent X-9, starring Lloyd Bridges and Keye Luke (a/k/a Charlie Chan's No. 1 son, Master Po from King Fu, among others). I've seen this serial, and once you get by the usual WWII propaganda and stereotypes, it is pretty entertaining. This morning's Sunrise Serenade is more of a mid-day melody with an evening theme: "Moonlight Cocktail" by Glenn Miller and his Orchestra. Click on the song title to listen courtesy of Jazz On Line. From the "Where is my flying car?" category: Paleofuture posted this illustration from the December 4, 1932 edition of The San Antonio Light, which describes the technological amenities that would be available in 50 years (1982). This morning's Sunrise Serenade was "Build It Up" by Anita O'Day with the Stan Kenton Orchestra. Click on the song title for a sample from emusic, or click here for the album page. The playlist for the February 16, 2011 broadcast of the Swing Shift Shuffle has just been added to the playlist filing cabinet. 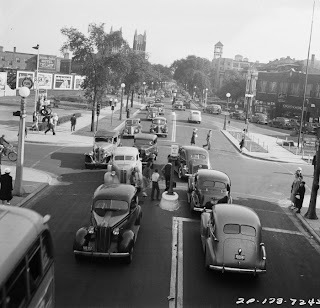 The Hemmings blog sometimes posts "carspotting" photographs: images from the past, mostly from the 1930s-40s as far as I can tell, of everyday scenes that just happen to be filled with cars. 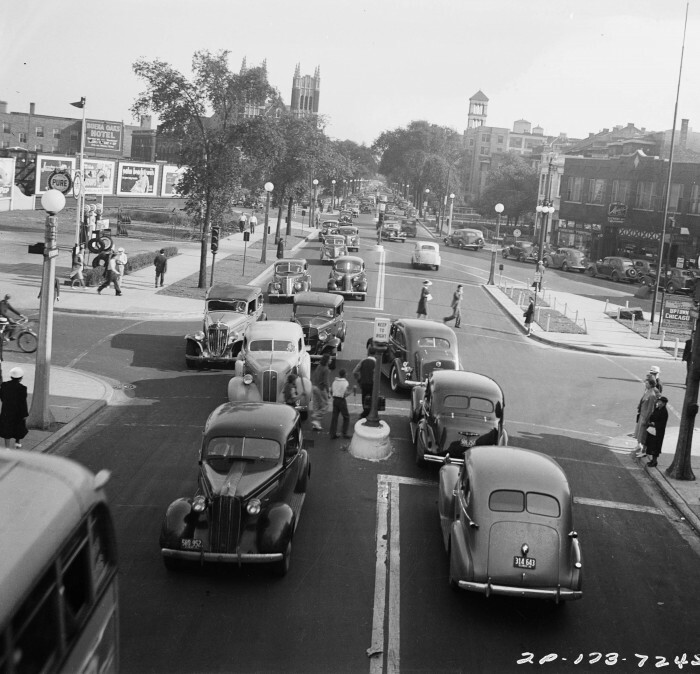 Images have included parking lots, main streets, intersections, etc. If you are a classic car fan, it is a fun game to see how many makes and models you can identify. This photo is of the intersection of Sheridan, Montrose and Broadway in Chicago on a June afternoon. Today's Sunrise Serenade was "Southern Scandal" by Stan Kenton and his Orchestra. Enjoy this Soundie of the tune from YouTube. The Red Hot Lindy Hop continues its weekly lesson and sessionthis Friday with a lesson by Matt and Kimmie with music by Kimmie. Free admission before 7:00 p.m., and $5 at the door afterwards. 10:00-11:15am - UC Ballroom: Panel Discussion: The Past, Present & Future of Swing Music & Dance. Norma Miller accompanied by Chris Lee and the Casey MacGill's Blue 4 Trio will take us on a swing dance history trip through time. 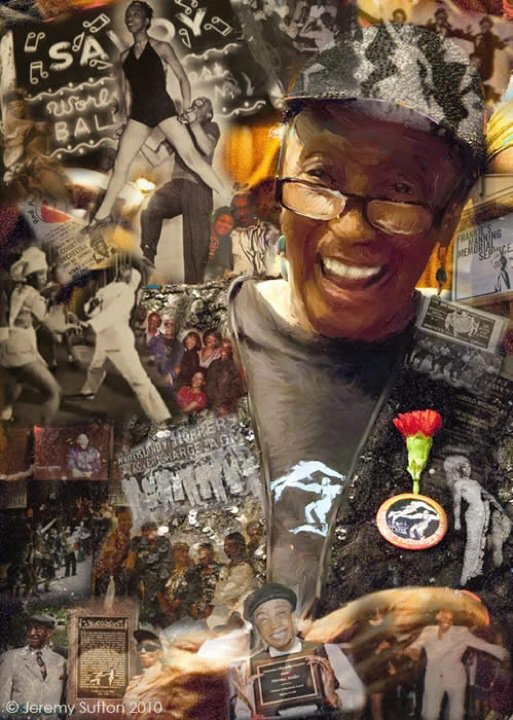 1:00-2:15pm - UC Theater: Screening of the Documentary Film, Queen of Swing with Norma Miller. 6:30-7:30pm - Swing dance lesson with Chris Lee and Ashley Sarver. 7:30-10:30pm - Swing dance featuring Casey MacGill's Blue 4 Trio. My unconscious seems to have caught up to the appropriate holiday, although perhaps a day late, because this morning's Sunrise Serenade was "A Kiss Goodnight" by Ella Fitzgerald. Enjoy this version from YouTube. Happy Valentine's Day From The Charles Family! 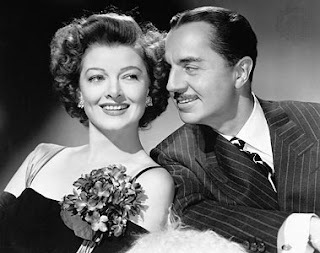 Perhaps they were not as dashing as Errol Flynn and Olivia de Haviland, nor as sassy as Bogie and Bacall, but for overall fun, my favorite screen couple was William Powell and Myrna Loy as Nick and Nora Charles. MovieFanFare provides a great insight into this long-lived screen romance. Happy Valentine's Day! 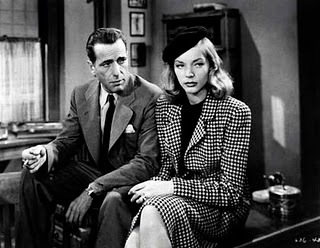 Nick and Nora Charles were the ultimate screen couple, husband and wife detectives, always in step and never missing an opportunity to outwit one another as they solved each crime, which they did just in time for the movie's ending. Myrna Loy (bio; videography) was a fantastic Nora, the ideal wife and considering she made 14 movies with William Powell, she made it look like they were really married... really! My unconscious must have holiday jet lag, because the Sunrise Serenade for this Valentine's Day was "Christmas Swing" by Django Reinhardt. Click on the song title to listen courtesy of Jazz On Line. Here is a "Screen Song" production from Famous Studios in 1948. A bunch of squirrels are making apple cider (the strong kind). In a lighthearted industrial accident, they spill the cider into the river, causing inebriation among the wildlife drinking at its banks, and the sing-a-long "Little Brown Jug" follows. From the Internet Archive, here is Little Brown Jug. The autogiro was not a helicopter, but a predecessor. Its overhead blade was essentially just a rotating wing (often unpowered), unlike the helicopter's main blade that provides both thrust and lift. It could not hover, or take off or land vertically like a helicopter; but it could fly slower than an airplane, and take off/land in much smaller spaces than fixed-wing aircraft. It was also much simpler mechanically than a helicopter. I do not know what publication included this 1932 ad for a Pitcairn Autogiro posted by Vintage Ads, but it must have had wealthy readers, since even a car would have been a luxury for many in 1932. This morning's Sunrise Serenade was "I've Got The World On A String" by Cab Calloway and his Orchestra. Click on the song title to listen courtesy of Jazz On Line. Many thanks to the Red Hot Lindy Hop for letting me know about Norma Miller at the University of Memphis, a daylong program on February 24, 2011, featuring legendary swing dancer Norma "Queen of Swing" Miller. The day includes a panel discussion about swing dance, a screening of documentary films about dance in the swing era, a lindy hop dance lesson and live music - all free! Follow the links for more information! Today's Sunrise Serenade was "Hide And Seek" by Ambrose and his Orchestra. Click on the song title to listen courtesy of Jazz On Line. The playlist for the February 9, 2011 broadcast of the Swing Shift Shuffle has just been added to the playlist filing cabinet. 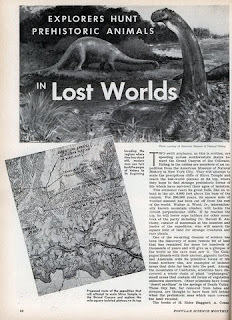 Before Jurassic Park, there was Sir Arthur Conan Doyle's 1912 novel, The Lost World, an adventurous tale about a group of scientists on an expedition to a high plateau in South America where dinosaurs survived extinction and thrived in their isolated environment. Fact imitated fiction in this article posted by Modern Mechanix from the November 1937 issue of Popular Science about an expedition from the American Museum of Natural History in New York that traveled to the Grand Canyon seeking just such a lost world. This morning's Sunrise Serenade was "Anytime, Anyday, Anywhere" by the Mills Brothers. Click the video below courtesy of YouTube. The weekly Red Hot Lindy Hop lesson and session continues this Friday with a lesson by Kirk and Erin and music by Kirk. Free admission before 7:00 p.m., and $5 at the door afterwards. Today's Sunrise Serenade was "Tuxedo Junction" by Glenn Miller and his Orchestra. Click on the song title to listen courtesy of Jazz On Line. This movie has everything a great detective film should have, from a long and winding cast of characters who are never quite what they claim to be to a mysterious and sarcastic leading lady. This morning's Sunrise Serenade was that lesson on the Golden Rule, "Do Unto Others" by the Golden Gate Quartet. Click on the song title for a sample from emusic, or click here for the album page. This animated short is one of my Bugs Bunny favorites from 1943. Aside from a funny cartoon, it has some nice Polynesian rhythms going down. From the Internet Archive, here is Wackiki Wabbit. Boing Boing posted this 1933 film of the last thylacine, also called Tasmanian tiger or Tasmanian wolf, known to exist. This animal is actually a marsupial, not directly related to wolves (or big cats). Any similarity you see is purely convergent evolution at work—different species adapting to similar environmental niches. Not surprisingly, like the wild dogs they resemble, thylacines were hunted with abandon in the 19th and 20th centuries, because of the threat they posed to domesticated herd animals. The last confirmed* wild thylacine was killed in 1930. The last captive one died six years after that. That's him, a male sometimes referred to as "Benjamin" in this video, shot in 1933. 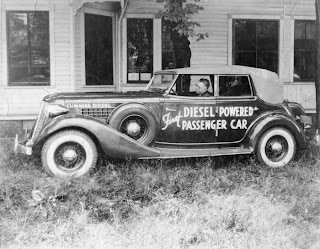 The Hemmings blog posted this very interesting article about the early efforts of diesel engine manufacturer Clessie Cummins to convince the automotive industry of the efficiency of diesel engines. He had a very simple formula. Take one 1934 Auburn, one of the more upscale cars available at the time, put in his own special diesel engine, and drive it across the country. In June 1935, he debuted the result of that effort: a 1934 Auburn powered by an experimental Cummins Model A six-cylinder diesel. Where all of Cummins’s previous diesels used cast-iron engine assemblies, the Model A had an aluminum block and head, “making it more comparable in weight to a gasoline engine,” according to Cummins company literature. A Time article announcing the Cummins-powered Auburn noted that the Model A, which developed 85 horsepower from 377 cubic inches, weighed 80 pounds more than the Lycoming straight-eight that originally powered the Auburn (870 pounds total). Combined with a three-speed manual transmission and a two-speed rear axle, the 4,000-pound car was able to pull down 40.1 MPG on the first leg of a NY-to-LA transcontinental trip that Clessie planned to display the economy of the Model A engine. The trip, which lasted from June 17 to July 4, covered 3,774 miles and consumed just $7.63 worth of fuel; assuming the same fuel cost quoted in the Time article (and assuming my math is correct), that translates to an average of 44.5 MPG over the entire trip. One of the interesting points in this article was the fact that, prior to 1932, the trucking industry did not use diesel engines. It was the reliability and endurance of a Cummins powered race car at the 1931 Indy 500 that convinced Kenworth to offer a diesel engine the following year as an option. The rest is history. This morning's Sunrise Serenade was "Tain't What You Do (It's The Way That You Do It)" by Ella Fitzgerald and Chick Webb and his Orchestra. Click on the song title to listen courtesy of Jazz On Line. The playlist for the February 2, 2011 broadcast of the Swing Shift Shuffle has just been added to the playlist filing cabinet. This item on Vintage Ads shows an advertisement from the August 1941 issue of American Home featuring Snap, Crackle and Pop before they evolved into their current form. Today's Sunrise Serenade was the "faux instrumental" version of "Caravan" by the Mills Brothers. Click on the song title to listen courtesy of Jazz On Line. The Red Hot Lindy Hop has a special lesson and session this Friday. Jaredan and Lori DeLeon will teach Balboa ("The Dancer's Dance"), with music by Jaredan. Free admission before 7:00 p.m., and $5 at the door afterwards. This morning's Sunrise Serenade was "That Old Feeling" by Ella Fitzgerald. Click on the song title to listen courtesy of Jazz On Line.